Here you will find the description and symptoms of pests and diseases that often infect cannabis plants, with photos of various diseases and conditions. 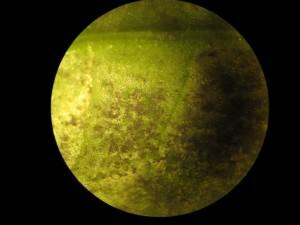 When growing cannabis we will observe many pathogens which threaten our plants. 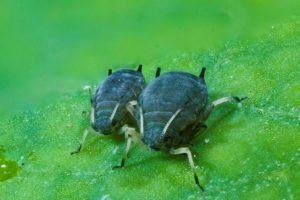 Insects like spider mites, thrips, whiteflies, leafminers, etc. and fungi like powdery mildew, botrytis, downy mildew, pythium, are the main enemies for both indoor and outdoor growers. How to identify each pest? Why do they appear? How to manage them? How to avoid pests and diseases? These are common questions that we answer here. At this point in the season, when outdoor plants begin flowering and indoor grows are suffering the highest temperatures of the year, it’s common for pests to make their first appearance in our garden, which can be particularly difficult to combat precisely because of the high temperatures, that on most occasions will favour their development and propagation. Our plants are therefore more sensitive than ever to insect pests and, later on and once they have developed buds, to the dreaded fungi. Because of this, it’s the season of the year where the most insecticides (early summer) and fungicides (late summer) are used, because no grower wants to watch their efforts and dedication be ruined by a pest or disease. However… are we making the best use of pesticides? How can we limit its impact on our health and the environment? 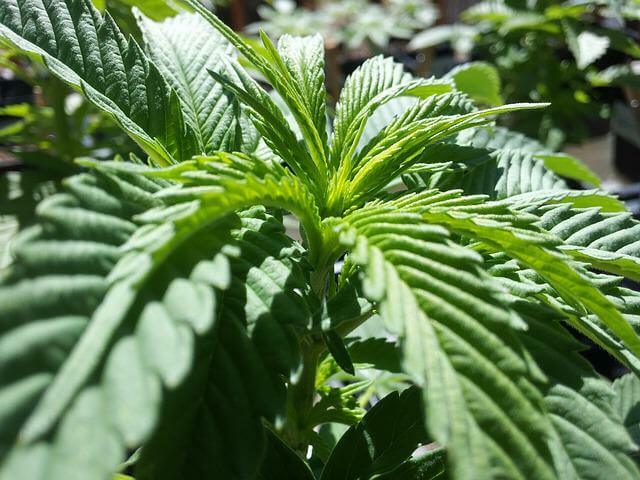 This article was born from my own experience during the years that I spent cultivating cannabis outdoors in my garden, when I saw the fauna in it gradually diminish and, fortunately, how I’ve seen its resurgence in recent years thanks to a more responsible use of phytosanitary products. 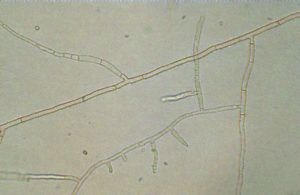 Alternaria is a genus of ascomycete fungi. Alternaria species are known to be major plant pathogens, responsible for at least 20% of all agricultural spoilage, and are common allergens in humans, associated with hay fever, asthma, skin problems and are a cause of opportunistic infections in immunocompromised people. 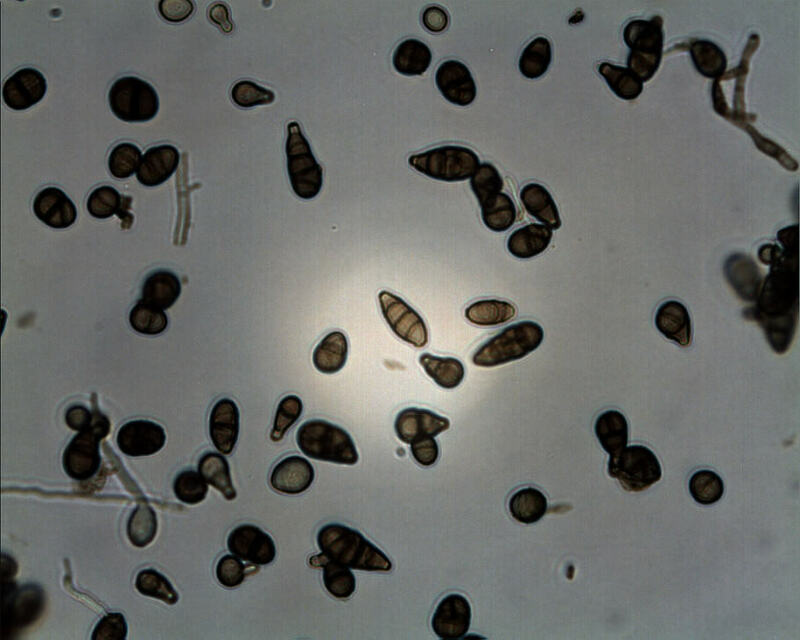 There are 299 species in the Alternaria genus, they are ubiquitous in the environment and are a natural part of fungal flora, being normal agents of decomposition and decay. 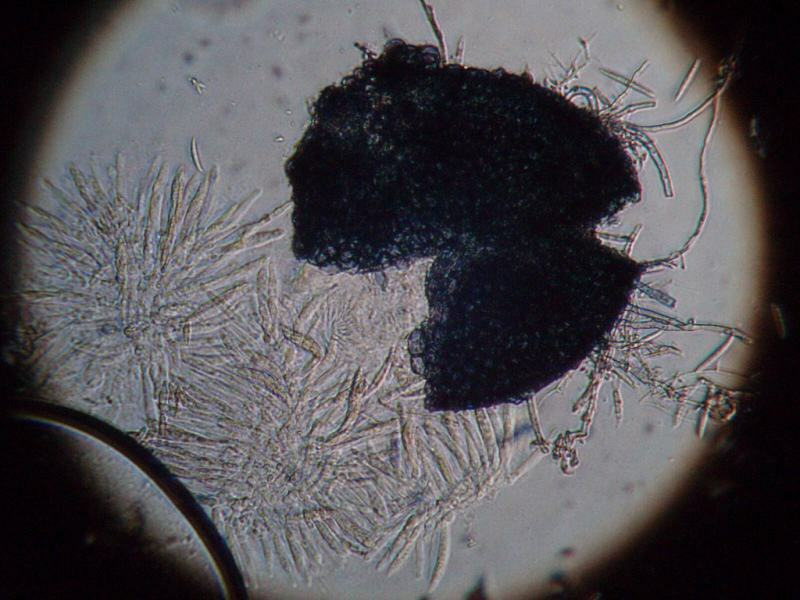 The club-shaped spores are are airborne and are also to be found in water, soil, on objects and indoors. Fusarium is, in fact, the name of a genus of filamentous fungi that live in the soil in association with plants, including cannabis. Most species are saprophytes, i.e. they feed on the debris of other organisms. Thus, Fusariosis is the name given to the disease caused in plants by certain species of Fusarium fungi (phytopathogens), which in this case develop as parasites. They form an important contaminating agent in laboratories, and some Fusarium species attack cereals and produce mycotoxins which can affect humans and produce diseases like fungal keratitis, onychomycosis or Panama disease, also several types of skin infections. The soviets have been accused of using Fusarium as biological weapon in Laos, Cambodia and Afghanistan, while in the United States it was proposed as weapon to eradicate coca plantations in Colombia. Mealybugs can represent a serious pest for marijuana plants. While they rarely attack indoor plants, they are normally found in outdoor crops. 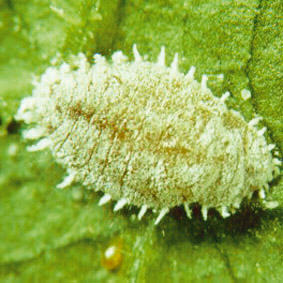 Mealybugs are insects characterized by having a carpace of different colors and consistencies, depending on the species. This carapace acts as protective shield against other insects and also against insecticide treatments. They can breed one or more generations during the year, depending on the species and the climate of the area. They leave the egg as larvae, then they transform into an adult mealybug which lays new eggs that will generate more larvae again. This process (generation) can be performed 1, 2, 3… times a year. Let’s see now how to identify these insects and how to treat an infestation before it compromises the growth of the plants. What is Mildew and how to combat it ? Mildew is a fungal disease that causes the growth of fungal hyphae in the plant tissues, wood, leather, paper etc. Its relatively similar to powdery mildew but this fungal infection penetrates into the tissues of the leaves, stems and fruits and not only remains in the surface as it does the first one. As being an endoparasit, you won’t see its formation until the damages produced in the plant are considerable, these damages are usually caused in the upper parts of the plants. It’s part of the family of the Peronosporaceae, which includes 7 genres and approximately 600 species. In agriculture it often damages crops of potato, grapevine, tobacco and of the cucurbitaceous family, without forgetting of course the cannabis crops. This pathogen is quite specialized because normally every species attack a specific – and relatively small number – of plants. One of the most known species is Plasmopara viticola or grapewine downy mildew, which was introduced in Europe in 1878 by the French when they imported strains of American vine resistant to phylloxera, but hosts of this fungus. Root rot is a disease that affects many types of plants, including cannabis. It can be caused by different agents like Fusarium, Pythium or Rhizoctonia, which is a genus of fungi named by Augustin Pyramus de Candolle to describe a group of organisms in the order Cantharellales which don’t produce spores but hyphae and sclerotia. Rhizoctonia means “root killer”. 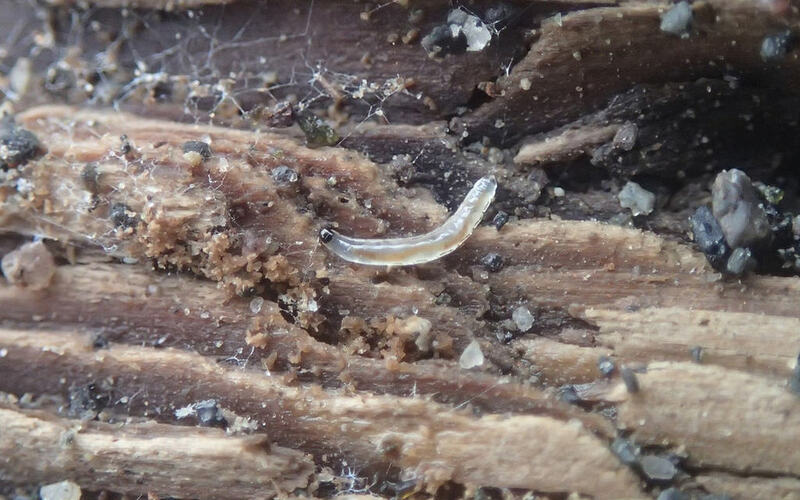 These organisms are able to survive in the topsoil (and also in plant debris) for long periods of time, causing damage to many types of plants, of course also to marijuana plants. Thus, they don’t need host plants to survive, and can attack plants in their surroundings as long as temperature and humidity conditions inside the grow tent – or outdoors – are suitable for their propagation. A number of factors can cause the development of this disease: temperatures ranging between 15 and 24ºC (being spring and autumn seasons the most suitable seasons), a soil too wet or too hot, without sufficient drainage or an excessive use of nutrients for cannabis rich in nitrogen also favor its appearance. Fusarium can attack our plants if the temperature of the growing media (20-34ºC) or the nutrient solution (more than 24ºC) are too high, especially if we are using soil with high content of potassium and low content of nitrogen. Bare in mind that Fusarium spores can remain in dead plant matter for 6 years, so removing any plant debris from the growing space is crucial. Pythium produces spores that also remain in dead plant material for long periods of time until they find a live host plant. Once they reach the roots of the plant the spores germinate and form the mycelium, which will soon cause root and stem rot. Almost any cannabis grower has had to deal with some type of pest at one time or another. 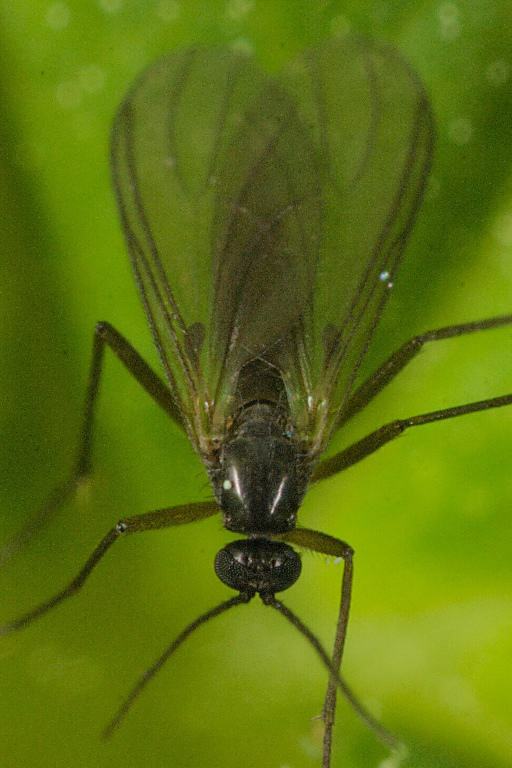 Pests and diseases can be carried by vectors, living organisms that carry insects, spores or viruses without even noticing and spread them around, thus affecting nearby plants. Normally, humans, animals and other plants carried by humans are the most commonly found vectors. If we want to have a crop free from these annoying plagues, we should follow a number of simple steps: prevention, identification, managment and eradication. Some of the pests affecting marijuana plants can be devastating if not treated early, so proper prevention of these potential threats is crucial. Also, as soon as we observe any problem, we should quickly identify its source: is it an insect? A mold? A virus? 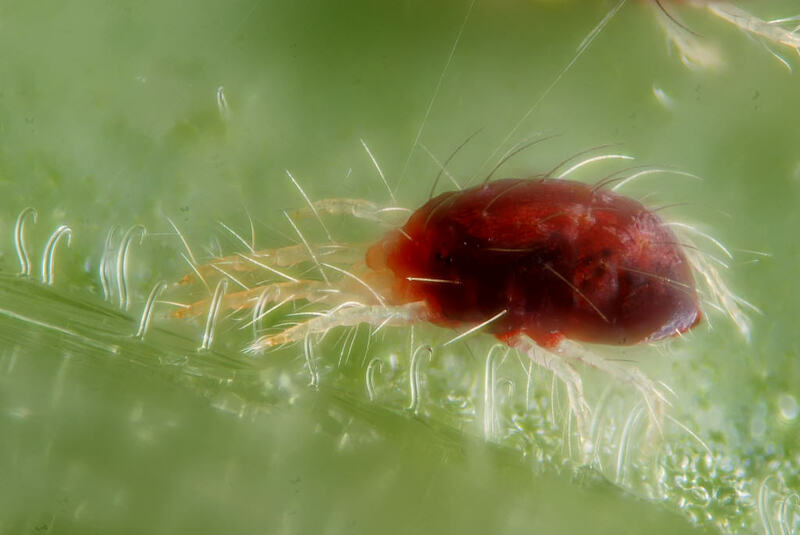 In this post we’ll elaborate a brief list of the most common pests and diseases in cannabis plants and tell you how to prevent and get rid of them. There are literally hundreds of insects and mites associated with cannabis. For this reason, we’ll only take a look at the most commonly found pests in our beloved plants. 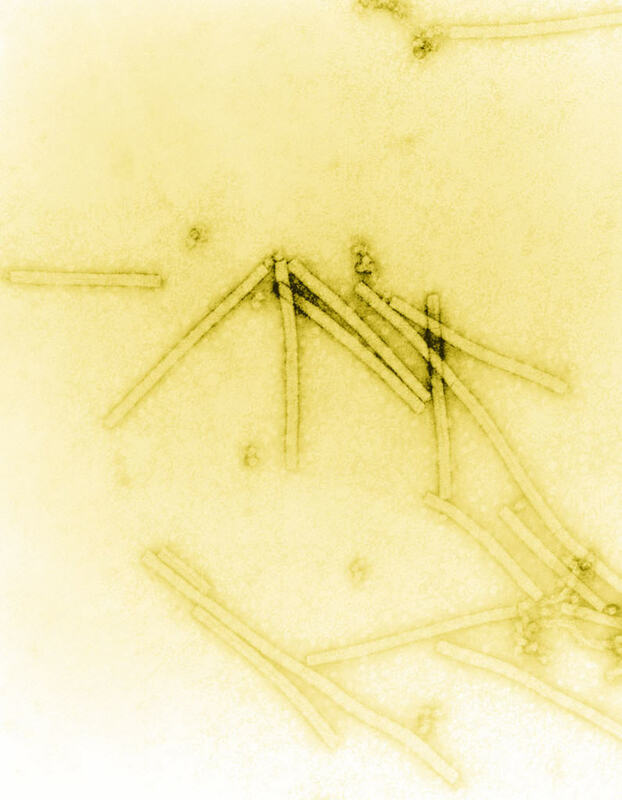 The origins of viruses are still unclear. We can find three main theories explaining their origins and evolution: the Regressive hypothesis – viruses where once small cells that parasited larger cells which lost part of their genetic material over time – the Cellular origin hypothesis – viruses would have formed from bits of DNA or RNA coming from larger organisms – and the Coevolution hypothesis – viruses would come from protein molecules and nucleic acid. Basically, plant viruses are intracellular parasites that can’t replicate without a host (cell). We know much less about plant viruses than we do about the animal counterparts. We know about few viruses which attack cannabis plants, although they can quickly devastate a crop. One of these viruses is Tobacco mosaic virus (TMV), the first virus ever discovered; the disease was first identified by Adolf Mayer in 1886. In 1898, Martinus Beijerinck replicated Dimitri Ivanovsky’s (1892) experiments and used the term of “virus” to indicate that the cause of tobacco mosaic disease was not a bacteria.